Ganei Beantown works with local environmental and Jewish educators to bring you high quality programs. We hire experienced educators who can teach to a specific skill set. Below are some of the educators that may be available to work your community. Aidan Ackerman is a seasoned beer brewer, having begun his brewing career in San Francisco in 2005. In that time, he estimates he has brewed over 100 gallons of beer. He moved to Boston from the west coast in 2008 to attend Harvard Graduate School of Design, where he studied landscape architecture. Professionally, he now works as a landscape designer, and also teaches design classes at ArtScience Labs in Boston. His favorite beer is BBC’s Steel Rail Pale Ale. Rachel Tali Kaplan strives to cultivate Jewish community that is as welcoming as it is meaningful. As a third year rabbinical school student at Hebrew College. Rachel holds a BA in psychology from Grinnell College and began her post-college career path as an organic vegetable farmer and educator. 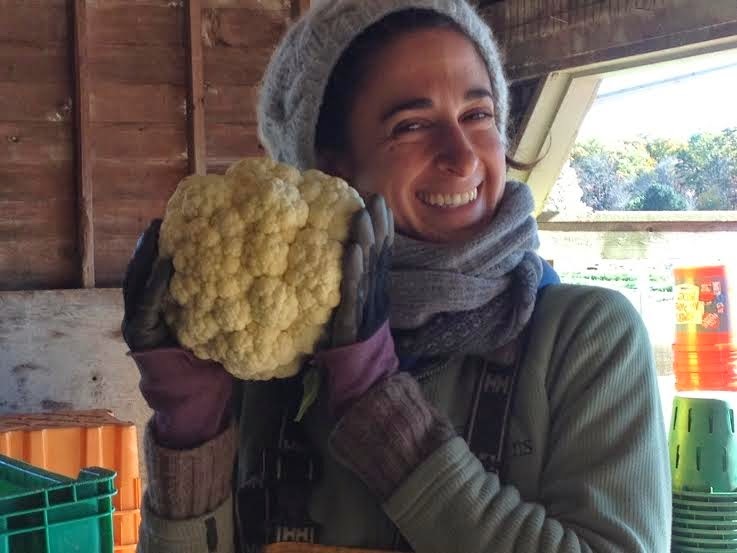 This native Mainer grew her first vegetable as an ADAMAH fellow at the Isabella Freedman Jewish Retreat Center and is a graduate of the Beit Midrash program for Talmud study at the Drisha Institute for Jewish Studies. 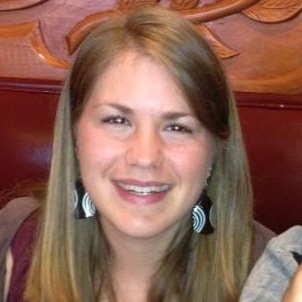 Rachel has taught at summer camps in Maine, Canada and Colorado, Hebrew school programs in Iowa, New Jersey and Massachusetts and on-farm educational programs in Massachusetts, Connecticut and Georgia. Rachel loves putting her hands in the dirt, cooking, crafting, running, practicing yoga and back porch shabbat hammock naps. Elizabeth Kaplan directs JCC Greater Boston’s Discovery Club, engaging kids with interactive workshops that fuse their interests with Jewish content. A former Urban Adamah fellow, Elizabeth spent several summers launching a garden education program at URJ Camp Kalsman near Seattle. She has an MS in Food Policy and Applied Nutrition and a Master’s of Public Health from Tufts Univeristy. She loves to ride her bicycle, tend her garden, and play piano. Stephanie Lowitt is currently the Assistant Director of Development at GLBTQ Legal Advocates & Defenders. 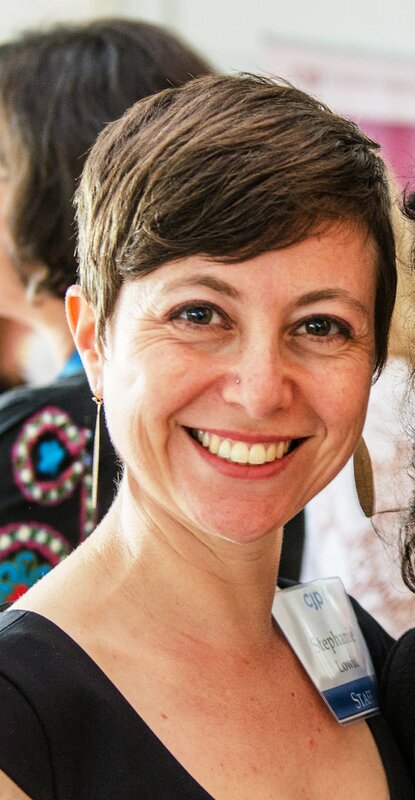 Her prior work includes serving as a Senior Development Officer for Combined Jewish Philanthropies and Development Coordinator for Keshet. She has volunteered with numerous social justice and advocacy organizations in the greater Boston area. Stephanie earned a B.A. in Psychology from Florida State University and an M.S.W. in Macro Social Work from Boston University. When not agitating for change and raising money for worthy causes, you can probably find Stephanie dancing, gardening, reading, or cooking too much food for friends and family. Rachel Playe is the owner and head farmer herbalist at Radia Herbs. The one acre medicinal herb farm is located in Cranston, RI and is maintained using organic methods. Radia Herbs offers workshops on herbalism, personalized herbal blends and Seasonal Support Packages. Rachel has been studying herbal medicine for over 5 years and farming for 10 years. The marriage of herbalism, farming and Jewish learning occurred at Adamah in the Summer of 2009 when she first foraged for her own tea blend! You can find her on Etsy and Instagram as well!